Our next stop on our international food tour is Vienna, Austria with it’s world famous Danube Burger. 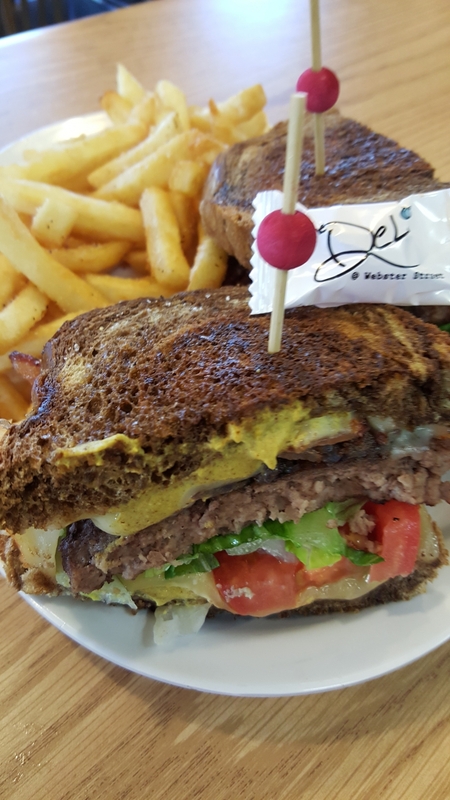 A grilled hamburger on toasted rye bread with bacon, Muenster and Austrian Havarti cheeses, spicy brown mustard, grilled onions, lettuce, tomatoes served with Thunder Crunch fries, $9.25. Our soups are the in house favorites of Chicken Noodle, Lobster Bisque and chili along with Chicken and Pablano Peppers, Shorty’s Chili and Chicken and Dumplings.